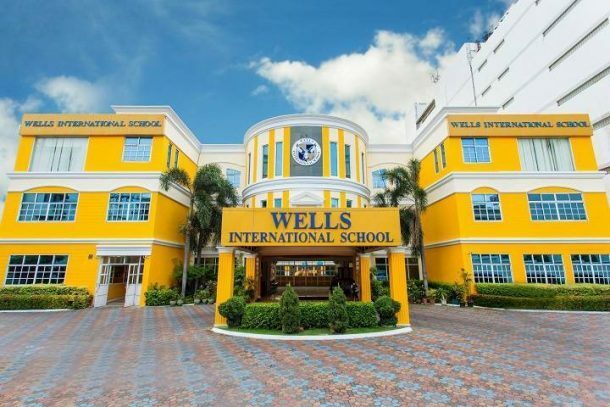 Wells International School’s On Nut campus currently serves more than 500 primary and secondary students and is able to accommodate a total student population of 650. 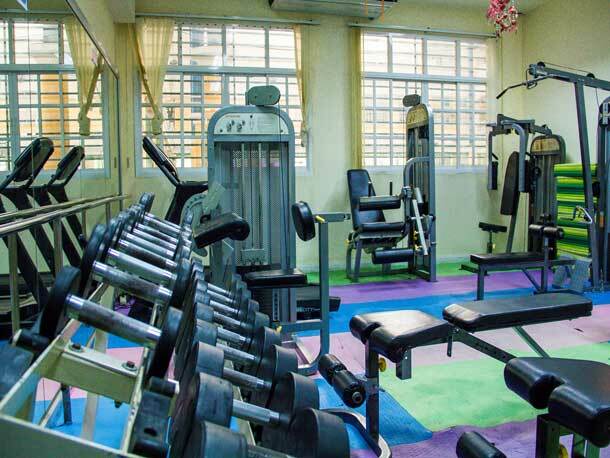 Located on Sukhumvit Road between soi 85 and soi 87, it is easily accessible by both car and BTS. The campus is designed to be both aesthetically pleasing and practical, with all locations within the school being easily accessible. 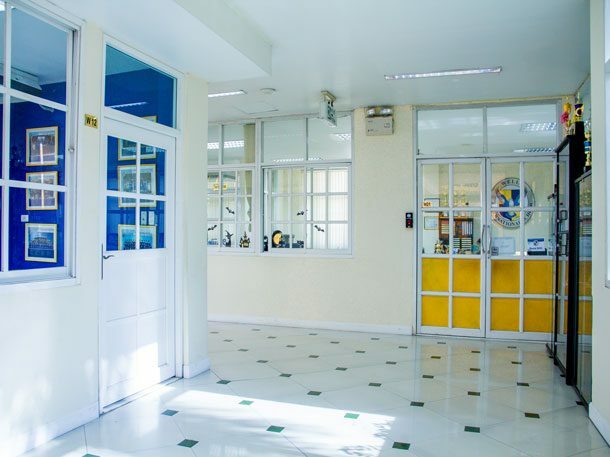 In an effort to make the school as welcoming as possible, the main office is located immediately to the right upon entering the school. 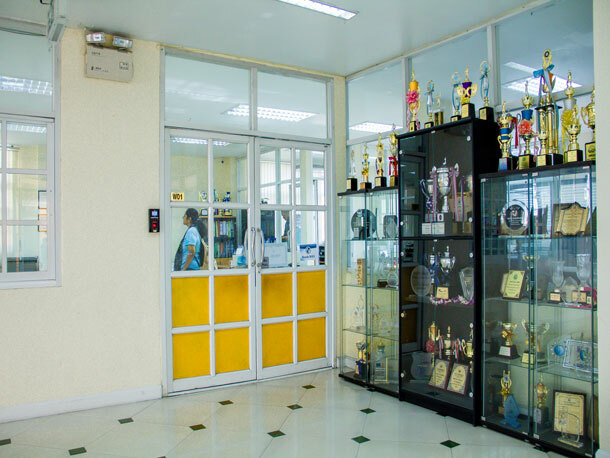 A guard stationed nearby at all times ensures that only authorized visitors enter the campus, thus maintaining a safe environment for the students – a goal also accomplished through the CCTV cameras installed at key locations around the school. Mini Mart, available for use during regular school hours, is located to the left of the entrance, and both students and parents frequently make use of it for conferences with teachers or simple relaxation. Announcements and events are posted regularly on the bulletin boards near the entrance, and copies of On Nut’s student-produced 85 Magazine are also available. 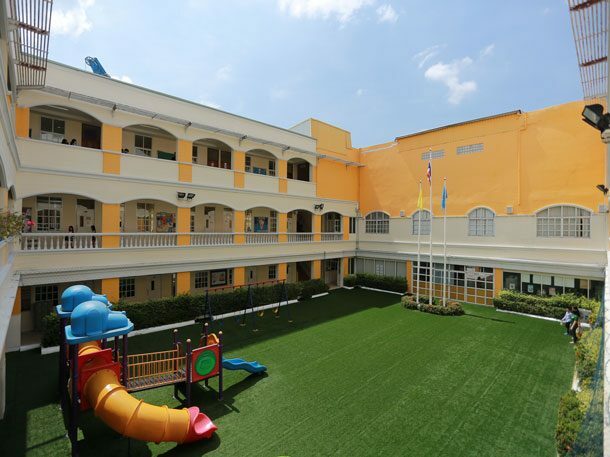 Classes are held in the 30 classrooms on the three floors of the school, and each room is designed to facilitate optimal learning. The maximum number of students per class is set at 25, and most classes contain an average of 16. 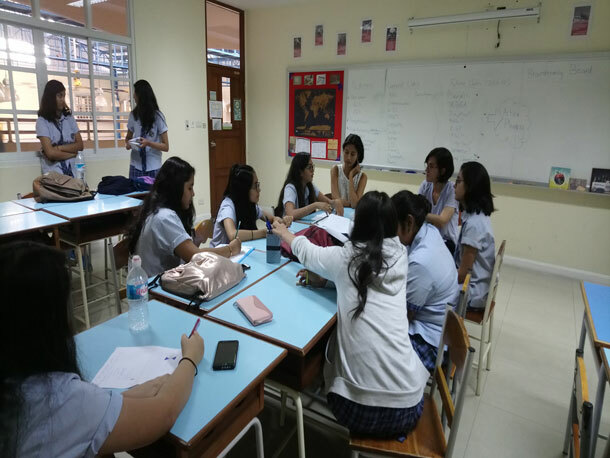 Virtually all teachers at On Nut arrange their rooms to facilitate group work and cooperative learning, and they make every effort to design the rooms to be accessible and welcoming for students. 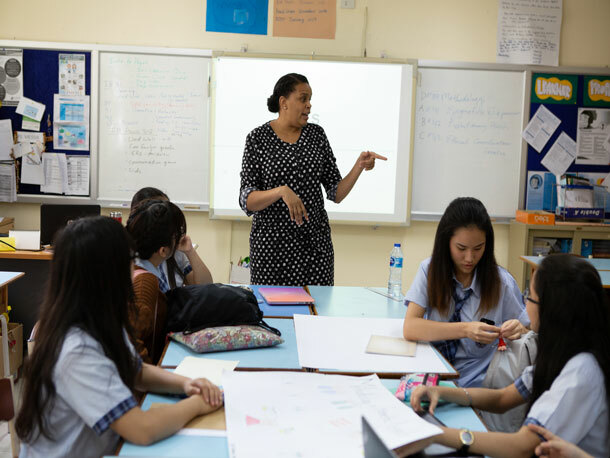 Additionally, every classroom is equipped with a computer connected to a widescreen, wall-mounted television in an effort to incorporate the use of modern technology into lessons. Several rooms are equipped with Smart Boards as well. 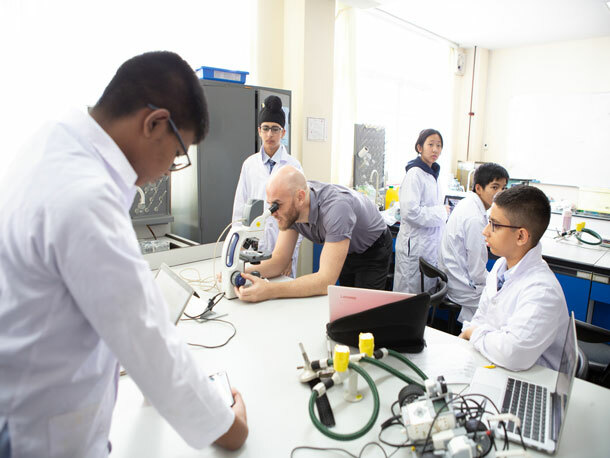 In addition to the standard classrooms, the campus also houses three fully equipped, modern science laboratories stocked with both traditional and technologically advanced equipment. 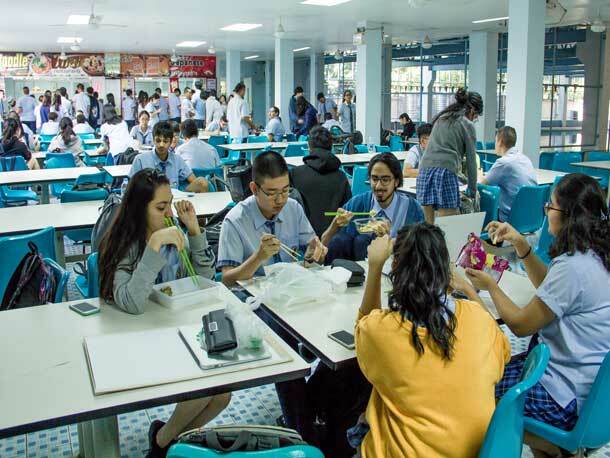 The two labs on the third floor were designed by the science instructors specifically with AP Biology and AP Chemistry in mind, and over 5 million baht was spent to outfit them with the proper equipment and facilities. Supporting the curriculum, a hydroponics-equipped greenhouse and terrarium on the third floor offers students the chance to conduct observations and experiments for biology, life science and environmental science. Five large computer labs contain over 150 new computers, all available for use by students in both computer classes and in other subject areas. Proper use of all computers is ensured through the incorporation of a monitoring and remote control program that can track student usage and lock any computer at the press of a button. 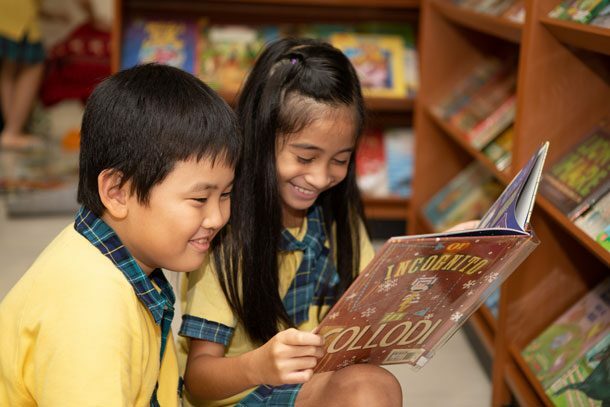 The school library contains over 8000 fiction and non-fiction titles and is always in the process of expanding its selection even more. Novel sets, composing an additional 1500 books, are kept on hand for use in language arts courses. All books are tracked through the use of the OpenBiblio library system, making it easy to locate every title. Several computers are available for use, and all students have free access to EBSCOHost, an online database that provides access to millions of articles in hundreds of journals and periodicals. 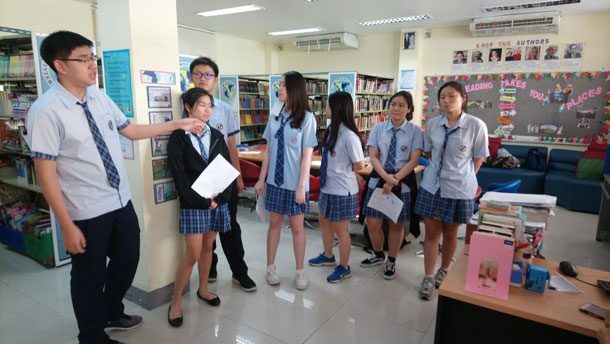 While used primarily for pleasure or research, the library is also used by Wells counselors for the values education lessons that occur weekly for both primary and secondary students. 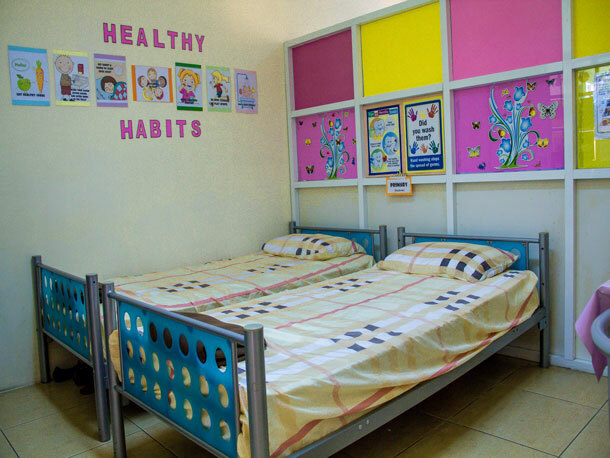 To ensure the safety and well-being of the students, the school employs a full-time, certified nurse to operate the school’s two-room clinic, which is fully equipped with first aid supplies and contains four beds for students who require rest due to illness or minor injuries. Recognizing that mental and social health are equally important, four full-time counselors provide advice to students in the three counseling rooms. Of the four staff, one serves as a trained university and guidance counselor, allowing the school to lead students in planning for future studies and careers. All students are encouraged to visit counselors with any issues or concerns they may be experiencing. 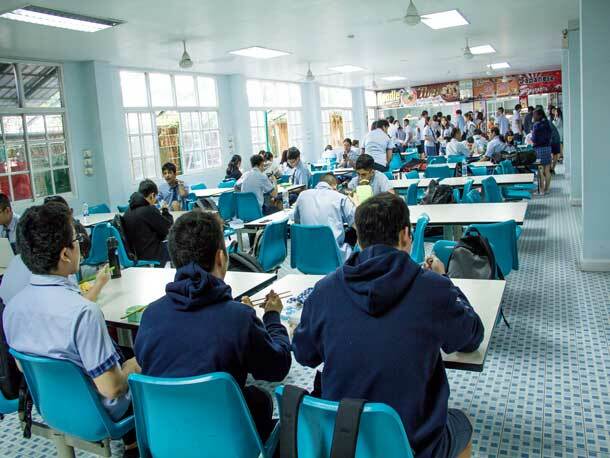 The school cafeteria, located on the first floor, can accommodate 300 students, and additional seating is provided in nearby lounge areas. Students are served lunch over two separate periods, and a catering service with decades of experience in the restaurant business offers a wide range of Asian and Western buffet-style selections. Proper food preparation techniques are strictly observed, and every effort is made to ensure that high-quality, healthy choices are available. MSG (monosodium glutamate) is not present in any of the prepared items, which are typically low-fat and low-sodium, and vegetarian dishes are always available. 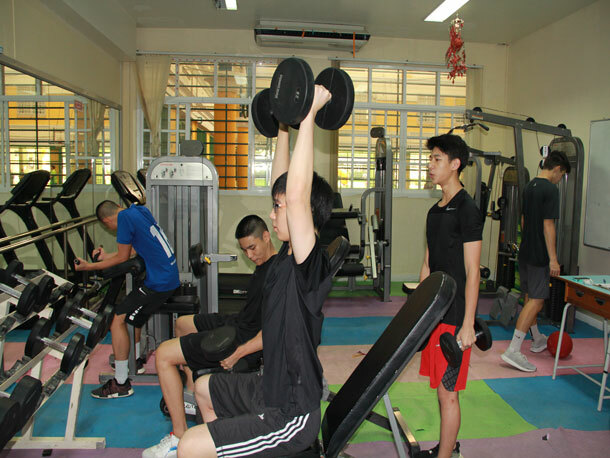 The Wells Sports Complex, including the gymnasium, fitness center and Wells Coliseum, provide students with ample opportunity to play a variety of sports in both friendly games and TISAC/BISAC matches, as well as performing arts events. 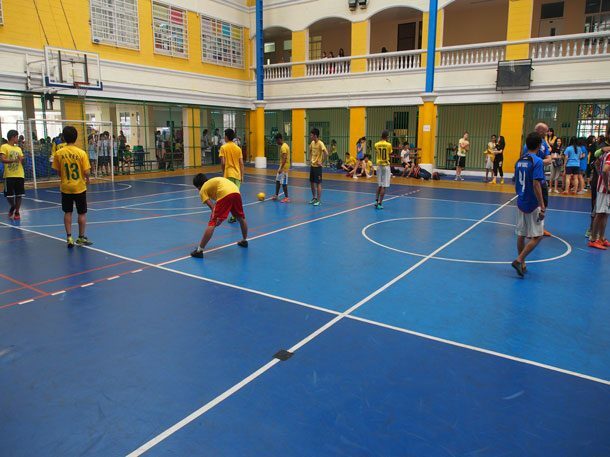 Two regulation-size basketball courts enable the campus to host large-scale tournaments, and facilities are available for volleyball, badminton, football and other sports. 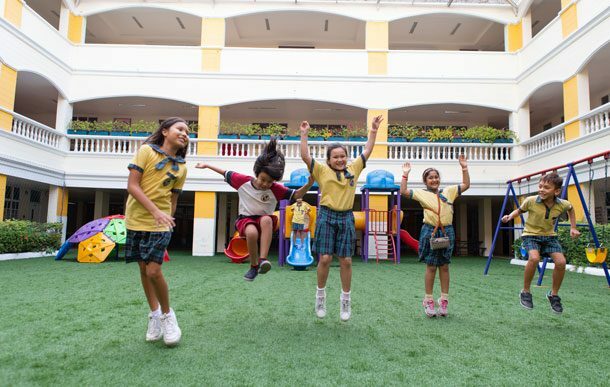 The front courtyard is designated as a primary-only zone to provide younger students with a non-threatening area in which to play.